Landsvirkjun has an important role to play within Icelandic society and the Company is committed to fulfilling its responsibilities. We have defined our role as consistently endeavouring to maximise the potential yield and value of the natural resources we have been entrusted with, in a sustainable, responsible and efficient manner. The Board of Directors, the Executive Board and Landsvirkjun’s employees make every effort to conscientiously fulfil this role. The nature of energy generation means that energy companies often find themselves at the forefront of public discussion and projects being developed by these companies frequently inspire discussions on the fine line between the utilisation and protection of natural resources. Landsvirkjun must show its ability to tread the middle road on these matters and the initiative in seeking consensus on the Company’s development of projects. In keeping with this approach, Landsvirkjun has held open discussions on matters pertaining to the Company and its operations in the last few years. Since 2010, the Company has held two large meetings annually; an Annual Meeting and an Autumn Meeting. These meetings have facilitated discussions on the Company’s operations and various matters connected to energy generation in general. These meetings have been well attended and have likely contributed to the improved trust the Company has enjoyed in recent years. The Board of Directors and Executive Board of Landsvirkjun have also placed a great emphasis on effective corporate governance. It is important that state-run companies, just like private companies, understand the importance of operating on such a basis. It is often thought that the operation of a state-run company is merely an extension of the political party policy at any given time, the shackles of which would prove an impossible environment for any Board of Directors to fulfil their legally defined role. The Board of Directors at state-run companies share the same responsibilities as those running and operating privately run companies, be they politically appointed or not. They are first and foremost responsible for fulfilling the legally binding role of the company and their loyalty is primarily bound to the company itself. Political conflict on utilisation should remain within the political arena and should not inhibit the boards of companies from retaining their professionalism as a guiding principle in their work. A part of this professionalism is assessing what the company represents to the outside world and what it stands for. In an attempt to strengthen the Company’s position, Landsvirkjun has placed an emphasis on developing an ownership policy for the Company where the government’s intentions for exercising its ownership rights are clearly outlined. The dividends policy and compensation policy for senior directors are normal aspects of such an ownership policy and are outlined to increase stability surrounding the Company. Stability, professionalism and open and honest discussion are all aspects that strengthen Landsvirkjun’s position as one of the most dynamic companies in Iceland and can lay the foundation for its directors to fulfil their role with integrity and dedication. 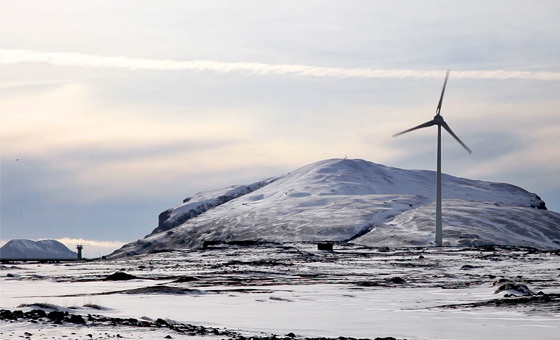 Landsvirkjun’s operations were successful in 2013 and a historical high was achieved by the Company, this year, when electricity sales increased by 416 GWh. Revenue increased by 3.7% and the profit before unrealised financial items and EBITDA also increased. Landsvirkjun suffered losses this year, despite the success of operations within a difficult market environment. This can mainly be attributed to decreasing aluminium prices worldwide and the effects of this on contractual energy prices. 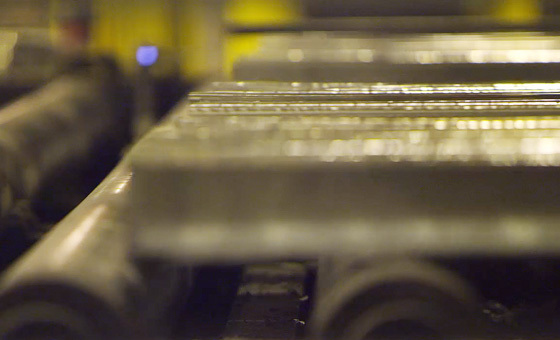 Landsvirkjun’s performance will continue to rely on the unpredictable development of currently low aluminium prices, interest rates and exchange rates. The net debt of the Company has decreased by 395 million USD since year-end, 2009. However, the Company’s debts are still substantial and the reduction of debt remains a key area of focus for Landsvirkjun. 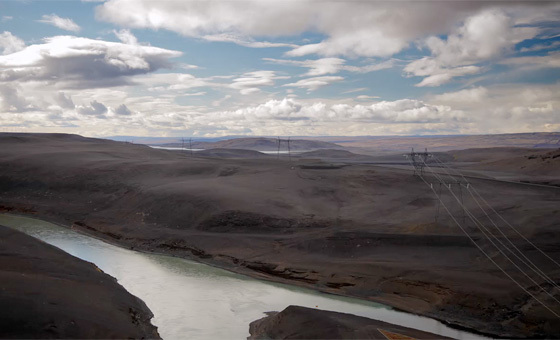 A milestone was reached in Landsvirkjun’s history when construction was completed on the Company’s sixteenth power station, the Búðarháls Hydropower Station. Construction was successful, safety matters were exemplary and the project was on budget. The project was a unified effort and truly reflected Landsvirkjun’s commitment to increasing societal consensus on the Company’s operations. 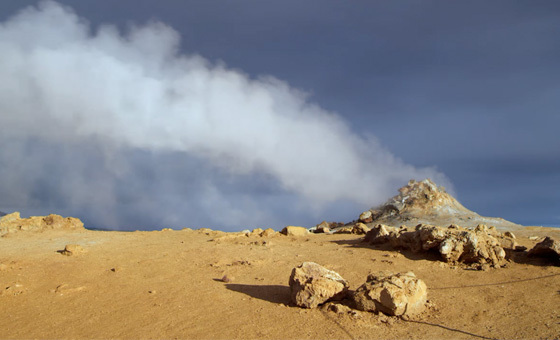 Iceland is rich in natural resources and there are various opportunities to be found in the further development of energy intensive industries, creating value for Icelandic society. The rapid development seen in recent decades is interesting and potentially an indicator of how Icelandic ingenuity could be utilised in the development of new ideas and technology in energy generation and the utilisation of energy resources. The rapidly changing environment of the international energy market has created new business opportunities for Landsvirkjun. International corporations see Iceland as an attractive option and Landsvirkjun has been involved in discussions with a number of corporations within various industries. New business opportunities will enable the Company to further diversify its customer base and minimise risk factors for Landsvirkjun in the future.